Arian Moayed in Hamlet. Photo by Eric Michael Pearson. BOTTOM LINE: Hamlet goes Iranian in Waterwell's dazzling production of Shakespeare's most introspective tragedy. It’s still the tragical tale of that infamously indecisive Danish prince, but Waterwell’s Hamlet transports its audiences 100 years back in time, to Persia on the cusp of modernization, a time of political turmoil. Members of the royal court speak Farsi along with Shakespearean English, and the women wear hijabs instead of corsets. An elevated stage and the audience in the round imitate the style of Ta’zieh, a Persian dramatic form. The name literally translates to “to mourn” in English. Quite appropriate for a story that ends in blood and tears I shall say. Possibly the best-known and most frequently produced play by Willy Shakes, Hamlet is a plot of vengeance, unfulfilled love, political treachery, and teenage angst. The titular character, prince Hamlet (Arian Moayed), discovers the murder of his father, King Hamlet of Denmark (a majestic ghost by Barzin Akhavan), by the hand of his uncle Claudius (Andrew Ramcharan Guilarte), who has now assumed his position on the throne as well as in bed with his former sister-in-law, queen Gertrude (Sherie Rene Scott). Hamlet plans his revenge and searches for a way to expose the king’s crime, yet during the process, commits the murder of Polonius (Ajay Naidu), drives Ophelia (Sheila Vand) to suicide, breaks his mother’s heart, and finds himself an enemy in Laertes (Amir Arison). Things do not end well for anybody, as you might have predicted. Given the familiarity of the play, it has become exponentially difficult to make Hamlet unique. After all, we’ve seen the Disney animated version, the post-modern cinema noir version, the gladiator version, the highly elaborate version, the five-people-minimalistic version; the list goes on. The Waterwell production, however, stands out for a few reasons. To say the least, it’s a perfect marriage of two radically different cultures and socio-political contexts. The intermittent use of Farsi and English never feels abrupt, but rather enhances the dramatic tension of the production. For instance, the communication between Hamlet and the ghost is in Farsi, as well as Ophelia’s mad gibberish before she wanders off to her fateful willow tree by the stream. The audiences’ familiarity with the plot surely helps in understanding the characters’ communications in a different language. But I believe that even Hamlet virgins would be able to follow the plot with ease, for the integrity of the play is not sacrificed over style. The Farsi part of the production is based on Iranian writer Mahmoud Stemadaedeh, aka Behazin’s translation, which preserves the poetic and musical nature of Shakespeare's text. Rather than seeing a Danish story through a Middle Eastern lens, the production makes Hamlet a thoroughly Iranian story. The duality of the cultures is also signified by the production’s clever casting choices. Scott’s Gertrude and Micah Stock’s Horatio, both European characters in an otherworldly Persian court, each intensify Gertrude’s allure to Claudius and Horatio’s part as an observer. The tragedy of Hamlet lies in his existential crises. His internal debate of “to be or not to be” leads to a loss of self-identity. He’s an actor on the stage that’s his scrutinized life, with little chance of being himself. Moayed’s nuanced performance transforms Hamlet into a different version of himself entirely, with each of the various characters around him. He’s stiff with suppressed anger with his uncle father; he shares some heartbreaking tender moments with Ophelia, yet becomes delightfully mean with the nosy Polonius; he plays a gracious host and an able leader with the guards and the tragedians, but also bros it out with his fellow students. Led by director Tom Ridgely (co-artistic director of Waterwell, along with Moayed), the production assembles a powerful cast consisting mostly of descendants of immigrants. Naidu’s Polonius is robust and delightful, a clown of the king but also a wise father to his children; he walks the line between enduring and frustrating, a perfect interpretation of the part. Guilarte, last seen in Betty Shamieh’s The Strangest, starts off as the most likable Claudius I’ve ever seen. He’s a passionate lover to Gertrude and quite an able-minded politician, which gives the character texture and nuance that is often lacking in Hamlet, a play that paints Claudius as a black and white villain. The kinship between Horatio and Hamlet is also delightful: the pair has endless verbal pranks on the yes-men servants. Stock’s level-minded BFF Horatio becomes the bridge between the audience and the drama. In a way, the line between the audience and the performers is blurred, which incidentally is the goal of Ta’zieh’s. But in this case, the tragedy of Hamlet is performed for the participants themselves. Horatio, an extension of both the fiction and the reality, carries a survivor’s responsibility, as we all do, to live and tell the story. There’s also a sense of intimacy about the Waterwell production that makes it one of the most relatable version of Hamlet (I’d compare it to RSC’s equally relatable film version from 2009). It’s easy to make Shakespearean English sound like a dramatic recital, yet on this stage, words spill out between each performer’s lips from a deeply personal place, and their convictions make you believe in a world of ghosts and intrigue. The production also boasts excellent aesthetics that create a gorgeously transformative ambience. Reza Behjat’s lighting and Jason Simms’ set accompanies many of Hamlet’s best-known soliloquies. Mohsen Namjoo and Yahya Alkhansa’s composition and live performance add much authentic flavor to the show as well. Waterwell's dual-lingual production becomes a timely reminder of the continual cultural conflicts we face every day, especially in light of Trump's recent visa ban against people from the Middle East. 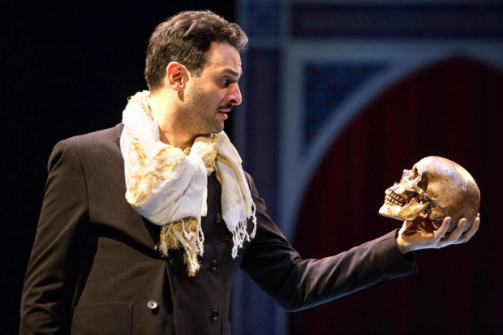 Hamlet, fashioned in a unique Iranian sensibility, not only proves the universality of the play, but also brings to attention the closeness between different cultures. Hamlet asks the same question of humanity, whatever language he happens to speak. Being Horatios, we witnesses of the world have the responsibility to keep the story alive. Hamlet is by William Shakespeare. Directed by Tom Ridgely. Set Design is by Jason Simms. Costume Design is by Nina Vartanian. Lighting Design is by Reza Behjat. Sound Design is by Sinan Zafar. Assistant Director is AC Horton. Fight Director is Christian Kelly-Sordelet. Additional Music is by Mohsen Namjoo. Production Stage Manager is Caroline Englander. 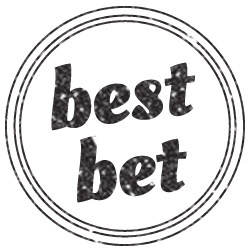 The cast is Arian Moayed, Sherie Renee Scott, Micah Stock, Barzin Akhavan, Amir Arison, Maryam Ataei, Brendan Averett, Cary Donaldson, Andrew Guilarte, Abraham Makany, Arash Mokhtar, Ajay Naidu, Sathya Sridharan, and Sheila Vand.